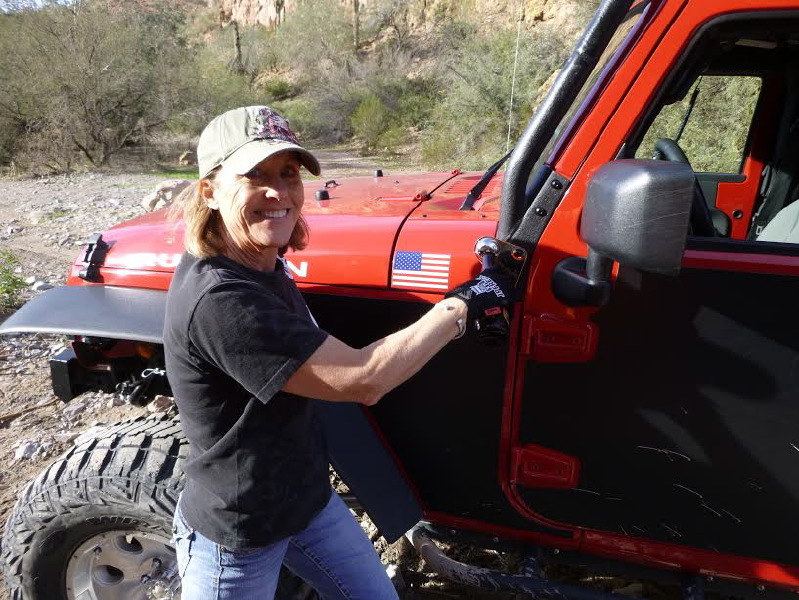 "Diane is a co-founder of a 4x4 club, contributing editor of a Jeep magazine, a wife and a mom. She loves exploring the backcountry, getting into the middle of nowhere to just see what is (not) there. She loves taking pictures and writing about their adventures for others to enjoy. When she was little, Diane got to watch the movie "On Any Sunday" with Malcolm Smith, Steve McQueen and Mert Lawwill. 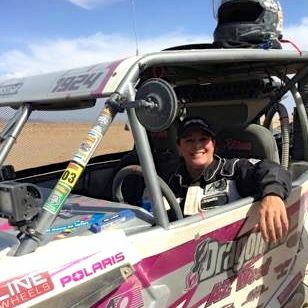 The movie footage from Baja had her instantly hooked on offroad racing." I love exploring the backcountry. My favorite thing is being out in the middle of nowhere just to see what’s there. I love taking pictures and writing about our adventures. 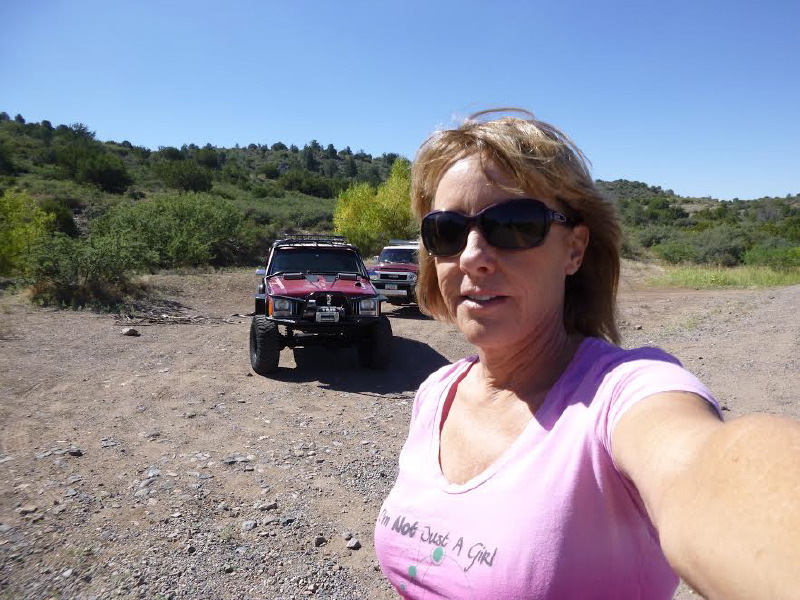 I am the co-founder of a 4x4 club, contributing editor of a Jeep magazine, a wife, and a mom. I love my life! How long have you been offroading? I have been an off-roader/explorer for my entire life, but my passion got serious back in the early 2000s when my husband and I purchased our first Jeeps. We’ve been fully immersed in all things Jeep ever since. How did you get into offroading? My innate wanderlust combined with the abundance of wide open spaces and 4x4 trails here in Arizona just created the perfect storm. 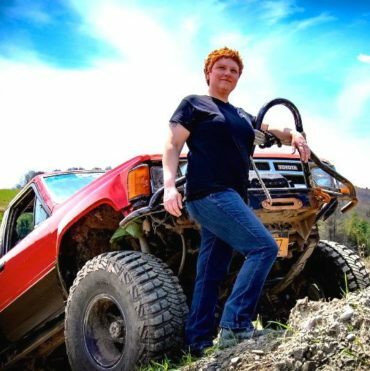 I feel like it was a natural progression to who I was meant to be, including marrying a guy who shares my off-road interests. I love to explore the backcountry, and I am blessed to have had opportunities that allow my passions to lead the way. Things were going great when my husband and I ended up with his and hers Jeeps, and a great trail book. We didn’t know anything about the Jeep community back then; it was just a great hobby on the weekends. 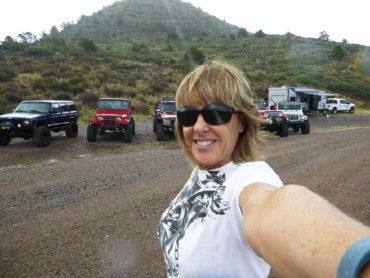 We wheeled alone (gasp), learned everything on our own, and modified our Jeeps without sharing a single photo :)! Fast forward 15 years and I am up to my ears in the 4x4 community. I love my amazing Jeep family! Practically every friend or acquaintance of mine is tied to off-roading. They are the best people and the truest friends I have ever known! Clifford is my lovingly rehabbed 1992 Jeep Cherokee that we’ve had since 2010. He is our main expedition vehicle; we have modified him to be capable of both highway driving and difficult trails, plus we can sleep in it! Rear Axle: Currie D44, ARB Air Locker, 33 spline chromolly shafts, 4:88 gears, Rock Crusher diff cover, RockKrawler 6.5-inch long-arm suspension lift, 3 link in front with Bilstein Shocks and JKS Adjustable Coil Spacers and Iron Rock Offorad leaf-packs in the rear with Jeep JK Rubicon stock shocks. What has been your favorite off-road experience? Last summer we went to Sierra Trek and ran the Fordyce Creek Trail. It was a last minute invitation so we had to throw everything together for an 800 mile trip one way, and the most difficult trail we have ever run! The spontaneity and complete unfamiliarity made the trip an exciting and fun experience. I will never forget running the Fordyce; it was a very difficult rock crawl. The trail itself and the scenery was astonishingly beautiful. Everyone at the Sierra Trek was super friendly and entertaining. 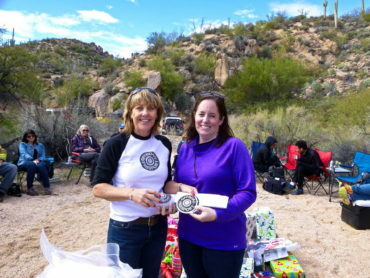 It was the largest 4x4 event we have ever been to! What was your most exciting off-road achievement? 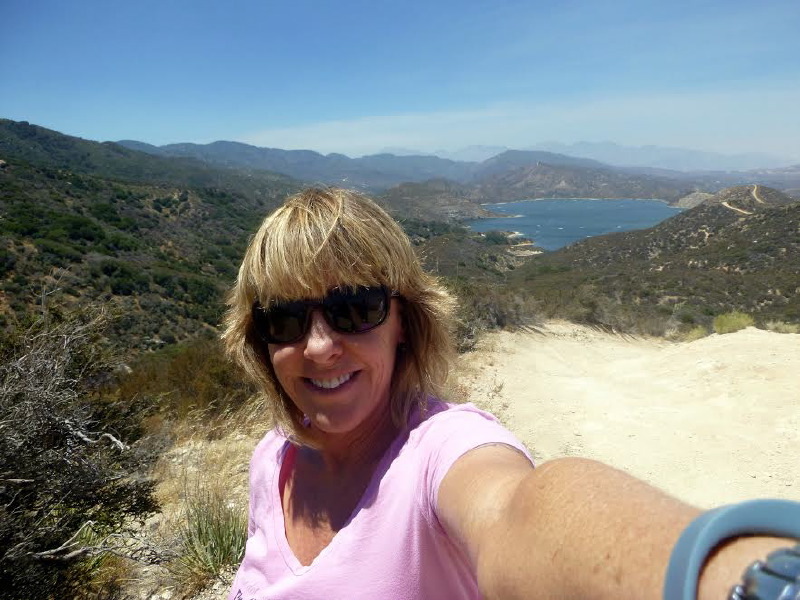 The second time we did the Rubicon Trail I had to drive a long portion between the Big Slice and Buck Island Lake alone, with no guidance. I did really well! I only got stuck once where I couldn’t get myself unstuck, and even then I didn’t need to be pulled! That was my ‘ah-hah’ moment when I proved to myself that I could do it. It’s given me a lot of confidence. What excites you about off-roading? Completing the challenging obstacles without breaking my stuff. Going exploring in new (to me) territory or trails; going back to my favorite trails or destinations. And, of course, doing all of the above with my 4x4 friends, and making new ones! 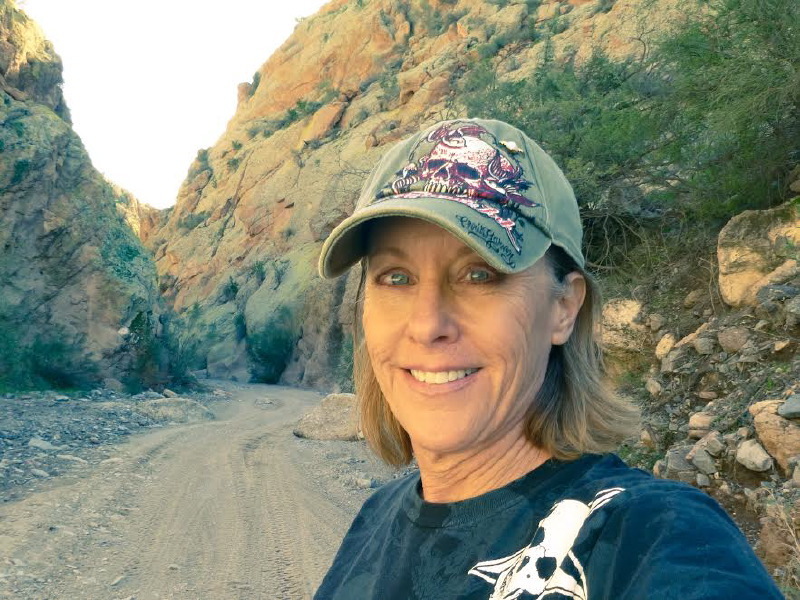 I also love posting pictures and writing about my trail adventures. What do you think is the most challenging aspect of off-roading? It can be really expensive, so I have to prioritize. I don’t have the latest and greatest vehicles, accessories, equipment, or styles. I do have highly capable and well maintained vehicles and proven to be reliable accessories and equipment. I try not to spend money on frivolous things, and we don't take lavish vacations and such because I would rather buy gasoline, tires, and road food. Which aspect of off-roading do you think is the most fun? Taking candid pictures of rigs just doing their thing; when a rig is flexed out on an obstacle, or a lonely road through a beautiful canyon, or even a long line of vehicles behind me! I also love sitting around the campfire after a day of wheeling, retelling the day’s experiences, sharing stories, talking about our rigs, catching up on the latest news, laughing, and drinking. The best is blowing down a boogie trail with the windows down and the stereo up while singing along with the music. It’s double the fun when we both sing! What does prepping for an adventure look like in your world? These days it usually involves planning and organizing the whole trip and the meet up for the group we are leading, downloading GPS files and creating waypoints for the places that I want to see, and making foil-wrapped meals that are ready for reheating on the manifold. Then taking camping gear, tools, spare parts, luggage, ice chests, food, and the other essentials, and fitting them into the back of my Jeep like a giant puzzle. I love when we leave my driveway for an expedition and my Jeep feels like a bobble-head, rocking back and forth from weight of the load. 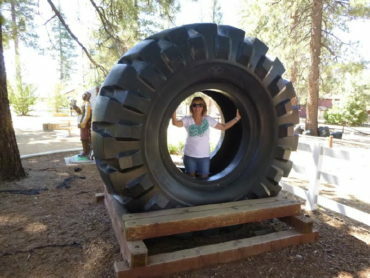 What is on your off-roading bucket list? Now that I have done the Rubicon Trail (multiple times) and Fordyce Creek Trail, I would like to complete the ‘trifecta’ of Nor-Cal and do the Dusy Erham. Supposedly it is even more difficult than the Fordyce and even more scenic than the Rubicon. In my mind this is a must do! Tell us about your typical off-roading companions. 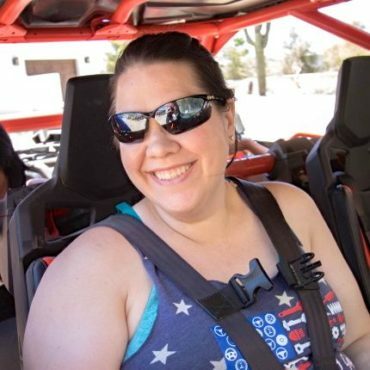 I’m a co-founder, event planner, and trail-leader at OffroadPassport.com, a 4x4/overland club, so I mostly go wheeling with members. They’re a diverse group with a variety of rigs and skill levels, so I end up running a variety of trails, which I enjoy. Even though we all come from different backgrounds and are different ages, we have a lot of fun and enjoy hanging out together. These are also some of the nicest people I have ever met; I’ve made some great friendships here. I still go wheeling with friends from other clubs that I’ve belonged to over the years, and it’s very refreshing to NOT be the trail leader every once and awhile. Following is much more relaxing! What is a piece of advice you have been given that you instill in your offroading adventures? Don’t attack the trail or obstacle, use finesse and let the vehicle do the work. 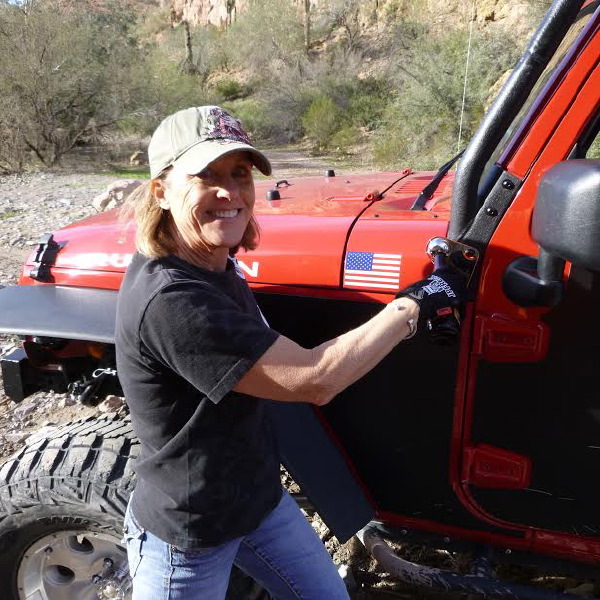 I still follow that advice because I have seen plenty of people break or wreck their rig by going crazy with the skinny pedal or bouncing around trying to get traction. I want to thank everyone who gave me their vote of confidence in the first phase of the competition. I was truly humbled by their kind words and enthusiasm for the contest. 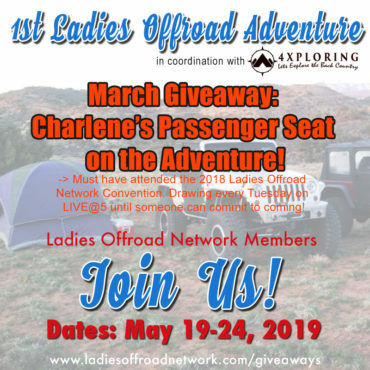 I entered the Ladies Offroad Challenge in 2016 too, but I didn’t make it past the first round. Even though I didn’t make it far, it was one of the best things I have ever done. 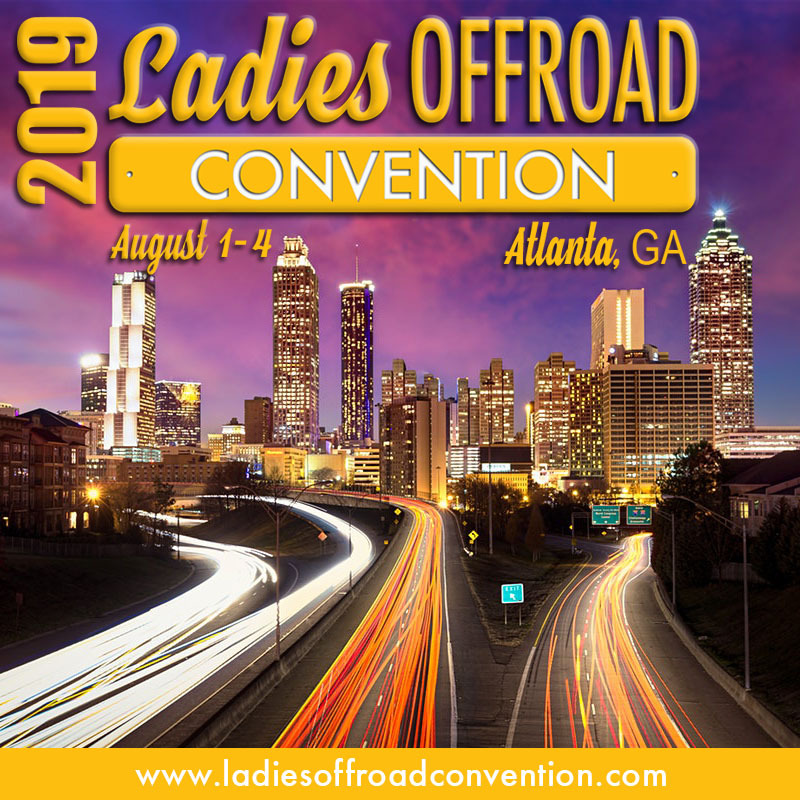 I made new friends with a big bunch of other offroad ladies who happen to share many of my dreams, concerns, and challenges. They’ve all been so positive and uplifting, I appreciate having them in my corner! 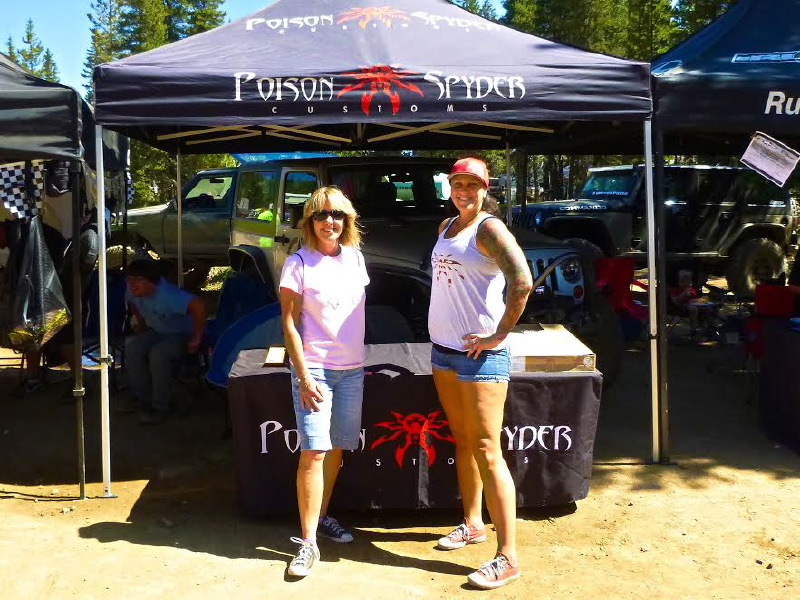 Click here to see all the 2017 Ladies Offroad Challenge Entries.